SUNCOASTERS SQUARE DANCE CLUB has over 100 members ranging in age from twelve to over eighty, all sharing in the common belief that square dancing is indeed, "Fun, Fitness and Friendship set to music". Suncoasters, a long held dream of Nev McLachlan, has been around for a long time as the following chronological overview will attest. THE SUNSHINE COAST SQUARE DANCE CENTRE, opened on the Maroochy Shire Council’s Ballinger Park Sporting Complex on the first week-end of August 1985. The long-time dream of Suncoasters Square Dance Club, the Centre became a reality with thanks to the late Clive Latcham and his wife Ada. Great assistance was provided by the Council in securing a grant from the Community Employment Programme and fundraising by the Suncoasters Square Dance Club, and private donations from the Centre’s Trustees. The Centre, on 7 acres, located at 260 Dixon Road, Buderim ( just off the Sunshine Motorway) in the heart of the Sunshine Coast, attracts numerous Australian and overseas visitors each year. The Centre is situated amidst several acres of landscaped grounds featuring picnic and BBQ facilities. 2 acres of the grounds around the hall are fenced and landscaped with picnic tables and barbecues. The "Centre", the first purpose built Square Dance Hall in Australia and built outside of the U.S.A. attracts many interstate and international visitors both singly and in tour groups. Inside, a 20 x 25 metre dance floor is hardwood and “floats” separate from the walls with large stage, fully equipped kitchen, and all amenities. Lighting and ventilation is good and ceiling fans and 3 large exhaust fans are installed. Square Dance functions are a regular feature of the Centre, with Guest Callers coming from all over Australia and overseas. Facilities onsite are convenient for some inter- and intra-state visitors while the many and renowned tourist facilities of the Sunshine Coast draw dancers from all points of the globe. 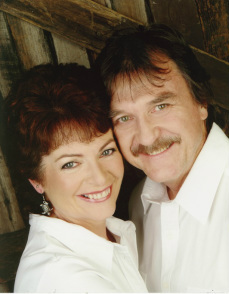 Nev McLachlan has been the Director of the Sunshine Coast Square Dance Centre since it was first built, and has been the resident Caller for the Suncoasters Square Dance Club since the Club’s formation in 1970. Nev will be celebrating 50 years of Club Calling in May 2019 and a special dance has been organised for the 18th May. Nev’s parents, Frank and Edna, and his late brother Rod, another caller, introduced him to square dancing when he was a young pre-teen at school. His introduction to calling was through a Caller’s School and he went on to great success in the Queensland Amateur Caller’s Contest, held in Brisbane. He liked it so much that he wanted his friends to learn so he started a Club called "Circle W" (Wynnum) in 1969. Later the "Circle W" joined with the club of square dance legend Bernie Kennedy and the new club became the "Bar K / Circle W". Nev also became resident Caller for the Reg Lindsay Show, "Country Homestead", which was broadcast nationally on Channel 9 from 1977 until 1982. He has also been the resident Square Dance Caller on "Cruisine Country # 1, 2, 3, 4, 5, 6, 7 and 8 and will be for 9 and 10. Nev has recently been recognised for his 50 years of calling from the Callerlab, the international association of Square Dance Callers. In 1977 Nev married Bev Brandon, daughter of another well known square dance couple Graham and Margaret and since 1982 Bev has been the Cuer for Round Dancing and Clogging. Bev had been cueing in Brisbane before coming to the Sunshine Coast, and, under her guidance, numerous people have mastered the intricacies of Rumba, Cha Cha, Two-Step, Waltz, Foxtrot, Tango, Bolero, Paso Doble, and Jive. Somehow Bev also manages to find time to teach Clogging. is and will remain alive and well on the Sunshine Coast.